The gentle giant we know today, the Great Dane, originated from Germany where they were also known as Boar Hound. As the name suggests, the Great Dane's large stature made them well suited to boar hunting. Although the Germans claim fame to the Great Dane, it has also been reported that similar Dane dogs existed in other countries including Russia. There's no doubt about it, the Great Dane is the king of size. Always seen walking with head high, this elegant canine is spirited, courageous, and proud. Aloof in the company of strangers, the Dane is nevertheless the gentlest and kindest of dogs with his/her own family and friends. Ultra loyal, dependable and devoted in the extreme, with adequate training they can make a gentle playmate for children. Despite the Great Dane's large size, they make a well-behaved house dog, who thoroughly enjoys creature comforts. Great Danes can also live happily in small yards as long as they are given daily outdoor exercise. An easy care coat which will benefit from regular grooming to remove hair. Great Danes need daily exercise and training. However, up to the age of 12 months, puppies should have supervised moderate levels of exercise. Too much exercise during this rapid growth stage can lead to injury. Great Danes need a specific feeding program as puppies and often throughout life. 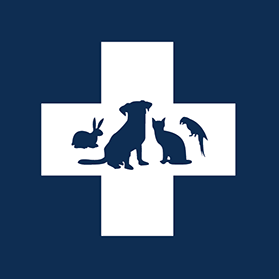 Your veterinarian can suggest an appropriate diet program for your pet given their age, lifestyle and environment. For the latest research in breed-related problems in Great Danes visit the University of Sydney's LIDA (Listing of Inherited Disorders in Animals) website.